An interesting read for runners is What I Talk About When I Talk About Running . It is written by Japanese writer Haruki Murakami. His work has been translated into over forty languages. And he has received many prizes like the Franz Kafka Prize. Murakami starts his story by telling he was a jazz bar owner. In 1982 he sold the jazz bar and became a full-time writer. He says he had an "unhealthy lifestyle". To balance things out, he starts running. He has run a solo run from Athens to Marathon, over twenty-five marathons to date, a number of triathlons and an ultra-marathon of sixty-two miles in the north of Japan. 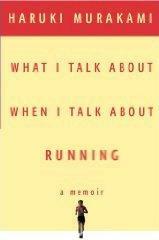 In this book Murakami reflects upon the influence running has had on his writing and on his life in general. 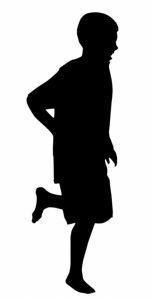 He is a middle of the pack runner who when he is "seriously running", does six miles six days a week. 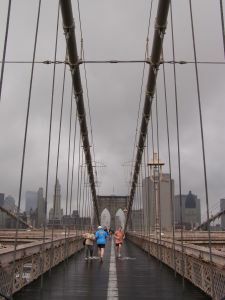 In the book he describes, amongst other things, his preparations for the New York City Marathon. The interesting thing about this book is that Murakami seems to write about running, but really writes about himself: about the moment of truth when he decided to become a writer, about coming to terms with not being able to beat personal bests anymore after he turned fifty, etc. 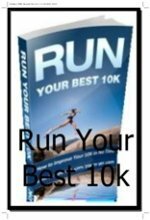 This is a great book for runners who love reading a good book. I loved the many moments of recognition I had when reading What I Talk About When I Talk About Running . Murakami describes some things very well, like the unwritten bond you have with people you meet every time you go for a run, the feeling people get in the past few miles of a marathon, the small battles you have in a race with certain people, the feeling of runner's blues, etc. The stories about some of the races, like his run from Athens to Marathon and his 62 mile ultramarathon in the north of Japan are good short stories on their own in which you will recognize yourself if you have ever gone through gruelling race experiences. 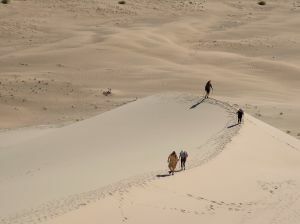 After his ultramarathon he suffered from runner's blues for years and years. It had that much of an impact on him. And when you read the story about the race, you can sort of understand why. (I guess you probably need to experience a race like that to truly understand). In order to not spoil that part, you will have to get the book to read it! E.g. in his run from Athens to Marathon he describes a cat flattened by a car, "like some misshapen pizza". He counts the number of dead cats and dogs on this road, questions, as you might do as welll when the going gets tough, why he ever got himself into this run, why the sun is so hot, etc. 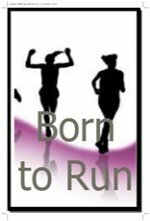 I think you'll be able to relate to the writer in many parts of this book whereas non-runners will have a bit more difficulty with that. It is not his, a friend of his uses it as a mantra. But it is a phrase that has stuck by me and I sometimes (m)utter internally when things get tough. As said before, What I Talk About When I Talk About Running is not all about running. At some points Murakami describes the process of writing a novel. How painful it is to get the right words out. And how it requires more from him than running or physical labour. All in all this is a great book written by an interesting, humble, charming person. There are people who have run only one marathon (don't get me wrong, a great effort) and go boasting about it until it drives you crazy. Murakami has done over twenty-five and acts like it is nothing out of the ordinary.